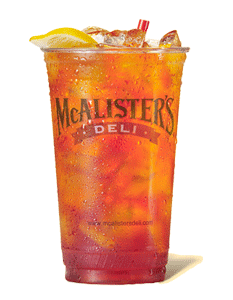 McAlister’s Deli: Free Glass of Iced Tea on June 21, 2018! Stop by any McAlister’s Deli location on June 21, 2018 to get a free 32-oz. Iced Tea. No purchase is necessary. « LEGO Creator 3-in-1 Drone Explorer Building Kit only $7.99! They have the best iced tea! ?